The “Golden Dragon Roaring Cannon” and the “Demon Whale Bombards” smashed together in the sky. Two legend ranked powers exploded in the air, forming a mushroom cloud that was over ten thousand metres tall. The enormous shock wave spread out from the place the two powers smashed together and exploded, spreading to the edge of the world. The entire world was trembling under this abuse. Inevitably, the earth’s crust collapsed in a large scale. If it wasn’t for the four World Towers still working, the Water God’s world would have been destroyed. Compared to the legend ranks, the small worlds like the Water God’s world was too fragile. “Again!” Shaya Longnis laughed morbidly. The three dragon heads rotated faster in her hand, brewing a stronger dragon roaring. After three seconds, it would be able to fire another cannon burst again. “Ta!” It was a footstep that echoed beside Shaya’s ears, which sounded very clear and steady. “Gee?” When Shaya Longnis realized that something was wrong, Yun Xi had rushed in front of her. Wait, aren’t his snake tails still being trapped in the web?! When this idea just popped out of Shaya’s mind, Yun Xi’s hands had grasped her head. “Bang!” Like a heavy hammer, hammered into meat, Yun Xi’s head slammed into Shaya’s head heavily. Shaya’s head whipped back under this heavy blow. A clear breaking sound came from her neck! Speaking of sword skills, perhaps Casina the Battle God wasn’t as good as other Sky Swords. But when it referred to close combat, she was undoubtedly number one! After all, she won the title “Battle God” with her fists! She won this title after her countless victories at the “Tournament of Fighters from All God’s Domains”. Shaya Longnis was the strongest slime. She had the potential to swallow all beings in the universe. Her way to grow was to swallow everything and keep evolving. Because she was so strong, she never learned humanities martial arts. So she hadn’t really experienced the horrors of martial arts, especially when it was one of the strongest, “Battle God Genre”! 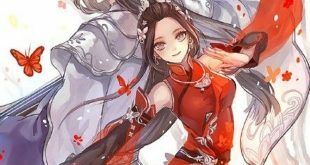 She just exposed her weaknesses for an instant, which wasn’t even longer than one second, Casina’s will in Yun Xi’s body had caught it and gave up his strongest weapon, Hydra’s snake tails without hesitation. The next moment, Yun Xi had appeared in front of Shaya Longnis, face to face! At such a close range, Casina had the confidence to even beat a god to death! “Ka!” Shaya’s neck emitted an awful sound and was twisted to a strange angle. “Peng!” Yun Xi didn’t stop. His knee plunged into Shaya’s belly without mercy, the terrible strength even caused a big bulge on Shaya’s back. The sounds of broken bones echoed in the air constantly. Even so, Shaya Longnis didn’t lose her consciousness. From the moment she took control of the spider queen’s body, the life code of this body had been totally changed. As the strongest slime, her body didn’t have any crucial point that could be struck a deadly blow. Precisely, she wouldn’t die as long as there were still slimes in the universe. However, “she won’t die” didn’t mean “she won’t feel any pain”. “Pain” was also a kind of perception to the universe. She wouldn’t give it up to be a bored, walking corpse like existence. Therefore, Yun Xi’s attack really let Shaya feel pain! Besides, this was just a start. After the Head Buttings and the Knee Strikes, without any rest, Yun Xi’s spin kick precisely kicked Shaya in her head. “Ka la!” The fragments of the mask flew in the air. Half of Shaya’s beautiful face was swollen. After the right spin kick, Yun Xi immediately launched a left spin kick. Once Casina got close to her enemy, she had the confidence to defeat anyone! After three serial spin kicks, Yun Xi’s legs locked around Shaya’s neck, then twisted brutally. This time, even Shaya’s non human body couldn’t withstand it. Half of her body was broken off, spraying a great amount of blood to the sky. “How dare you…” Shaya Longnis was really annoyed. She liked this human girl’s form very much. After obtaining this human form, she had never been beaten so badly. Although her head wasn’t her crucial point, neither her heart, she wouldn’t die due to this, but still, to “lose face” and to be beaten so badly by a mortal?! No, I need to strike back! I need to counterattack! “Transforming!” Green braids returned to Shaya’s body and started a new round of simulating. Since my human form couldn’t fight back under Casina’s martial arts, then how about I become a monster? I can beat him down with my monster form! Firstly, I will strengthen the defense of my body. Dark scales appeared on Shaya’s body. They were the real black dragon’s scales that could even neutralize tabooed magics. A red tail with sword shaped barbs appeared on her back. It was a tail from a red dragon she had swallowed. As for her head, it was protected by a golden dragon’s horn. Apparently, it was from the three headed golden dragon. It was Shaya’s “Close Combat Form, Demon Dragon Avatar”! It was a body that combined with a lot of dragons’ advantages. After abandoning dragons’ clumpy bodies and only leaving dragons’ defense power, it was the best combination that had been optimized many times by Shaya. “Roar!” After transforming into this form, Shaya Longnis immediately used the natural ability of this form: Rage of the Dragons! The shock wave of roaring contained the powers from three dragons. The rage of the dragons was shaking the Water God’s world. “Boom!” Yun Xi didn’t dodge the roaring but walked back in the fierce shock wave. Like a fish swam against the stream, as Shaya’s stared unbelieving at Yun Xi, he walked to her and grasped her neck again.